Hampden and Rag & Bone « Stitch Design Co.
At the end of this month Hampden Clothing will present Rag & Bone’s Spring collection. 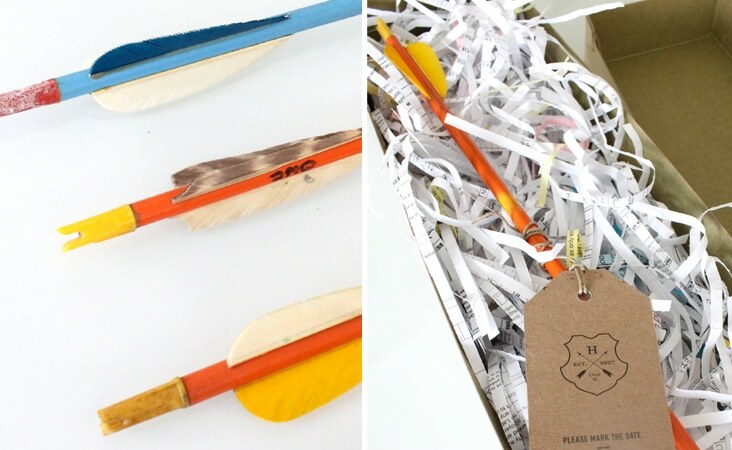 Inspired by Rag & Bone and their latest colorful collection, we designed a simple kraft tag and attached it to a vintage wooden arrow to serve as the invitation. 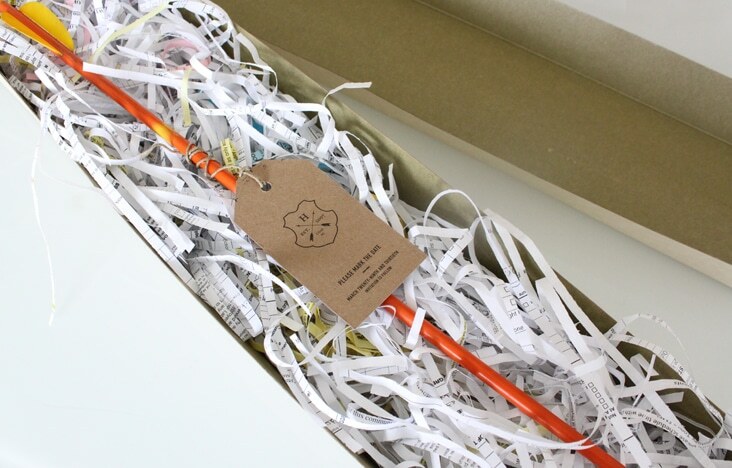 We love the brightly worn colors of the arrows in contrast to the natural kraft paper. 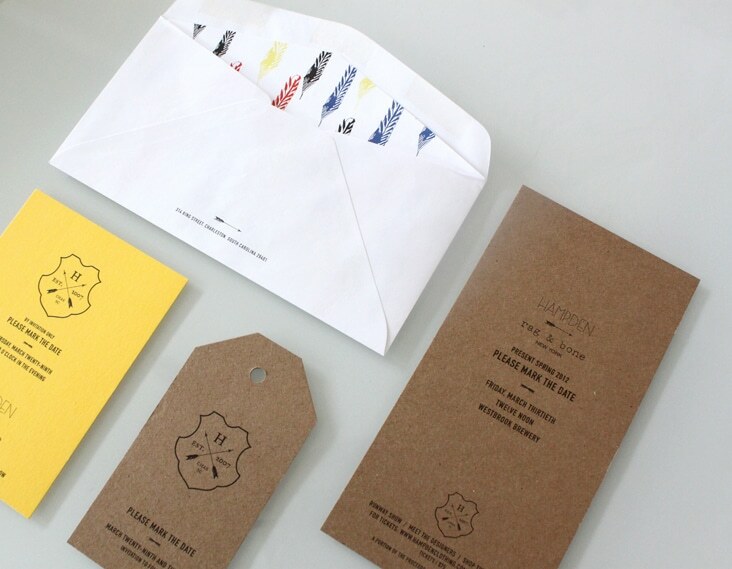 The arrow invitations were mailed in flower boxes wrapped in kraft paper and hand addressed. Aww I love this! i think the arrow is so unexpected it really gives a great element of surprise. Very cool! I would love to get one of them in the mail lol I’m not sure if you two designed the logo for Hampden as well or just the announcements, but it’s so nice. Yes, we did design the event logo. Thanks for the nice comments!